GARY, Indiana — A few hundred yards from a pawn shop, on a cold, wet, Friday October night at Calumet New Tech High School, a 17-year-old, 350-pound quarterback is once again doing things people his size are rarely asked to do. Yet so far, no college football program has been intrigued enough to return his emails, let alone offer him a scholarship. But the hope, whether it's well-founded or not, is that an offer is coming. Around here, they call him Bubba. His birth name is Joshua Johnson, and he is a senior. The youngest of 11 children, Bubba acquired his nickname from an uncle as a child. Over the years it became more than that, and now his friends, siblings, coaches, teachers and even his mother call him that. Tonight, Bubba is playing his final high school football game. Calumet is overmatched against West Lafayette in the first round of Class 3A playoffs, but Bubba does not go down quietly—doing everything in his power to make a final impression. He is on the field nearly every snap. In a span of 10 minutes, he plays quarterback, running back, fullback, left tackle and defensive tackle. Like a slot receiver or an extra defensive back waiting to be inserted into the game, Bubba shadows the coaching staff, waiting to see what his role will be on a given play. "I'm a former offensive lineman," Calumet head coach Rick Good says. "So it's a dream come true to think that a kid like that can represent every big guy in the country that can go score a touchdown." Even though he is the biggest player on the field, Bubba carries the weight exceptionally well. His feet are quick and in control. His hands are powerful. And when he is asked to carry the football, as he has been frequently the past two seasons, he lumbers with a certain kind of grace. "He's one of the most athletic people I've ever seen in my life," says Calumet running back AJ Fowler. "For as big as he is, he moves like a little guy. He should be a Division I athlete without a doubt. He's too good of an athlete to not play D1." Bubba also plays basketball, where he stars as Calumet High's mobile big man. But the idea of giving him the football on offense did not come from the hardwood; it came to his head coach on a Saturday morning before his junior season began while he watched Bubba's team play flickerball—a cross between dodgeball and rugby. During this game, Bubba showcased his arm and his mobility. Good watched his lineman throw a ball 55 yards flat-footed. From there, he started to wonder if his skills could be used elsewhere on the field. "He came up to me afterward and asked me how I would feel about taking a direct snap and running the ball," Bubba recalls. "And I was like, 'Hell yeah.' I always wanted to be a quarterback." Originally, Good viewed the concept as a gimmick. Even if they showed this on just a handful of occasions, it would give opposing teams something to think about. But the more the coaching staff saw, the more they wanted to expand his involvement. This season, Bubba had his own package—the "Flex" package—and a series of play calls for short-yardage situations. But he was not simply limited to those. In a more expanded offensive role, he ran for 326 yards on 39 carries and scored three touchdowns. He also completed three of four passes for 87 yards and another score. Defensively, he added 38 tackles, seven tackles for loss and three sacks. "I can adapt to whatever my coaches need me to do," Bubba says. "I don't think too many people can just come off the offensive line and defensive line and do that type of stuff." On display were also a handful of his touchdown throws, highlighted by his 99-yard touchdown pass against Twin Lakes High School in the playoffs last season. "I remember running and thinking to myself, 'Wow, it actually worked,'" says Calumet wideout Paris Hernandez, who was on the other end of that play. "He's a special talent. He's smooth on his feet and he's just an all-around great athlete." For a few days, Bubba was everywhere. The footage caught fire on social media before eventually finding its way to SportsCenter—a moment the football team celebrated together while at the homecoming parade. His mother, Gina, didn't understand the magnitude of the attention until she heard her son compared to William "The Refrigerator" Perry, a former defensive lineman for the Bears who used to carry the ball on the goal line. When she heard that, she (literally) fell out of the chaise lounge in her living room and onto the floor. At the time, despite his performance, Bubba received little college interest. A Division III school here and there, but certainly nothing close to Division I. After a week of national publicity, the thought was that the phone calls would follow. But those calls have not come. "I was hoping that maybe this would put me over the edge," Bubba says. "I guess it hasn't yet, and I can't control that." In some instances, a lack of college interest can be a result of something that has nothing to do with football: grades. But that is not an issue with Bubba, who sports a 3.3 GPA and is on the honor roll at Calumet. "I'm a little taken aback that all of these things are being written about him, and we're still kind of stuck in neutral as far as recruiting goes," Good says. "He's a great kid with good grades, and I'm kind of at a loss as to what Bubba is missing. He's put out some good tape against good teams. I just need somebody to say that they're willing to take a look, and go from there." Playing in Gary, Indiana, at the 3A level—Indiana goes up to 6A in football—undoubtedly plays a role in the lack of interest. This is not a college football recruiting hotbed, and Bubba has done little to promote himself by going to camps. Bubba is so unique, his skills are difficult for recruiters to evaluate. Good says that while contacting schools to gauge interest, coaches have expressed to him that they believe his player might be too heavy. Yet, at 350 pounds, Bubba is capable of running a 5.2-second 40-yard dash—a remarkable feat given his age and size, made even more remarkable when you consider he has been working out in the weight room only since last year. "Do I think he's a 5-star guy that's ready to tear people up? No, I'm not delusional," Good says. "But he was a national news story for a reason, and the kid's got something that people are drawn to. People want to see what special looks like, and I think we're seeing it. I just need the right people to see it as well." Unlike so many players who are consumed by the allure of attracting interest from the biggest and most resource-heavy programs in the country, Bubba is not looking for this kind of offer. "I just would love to be able to play on Saturdays," he says. 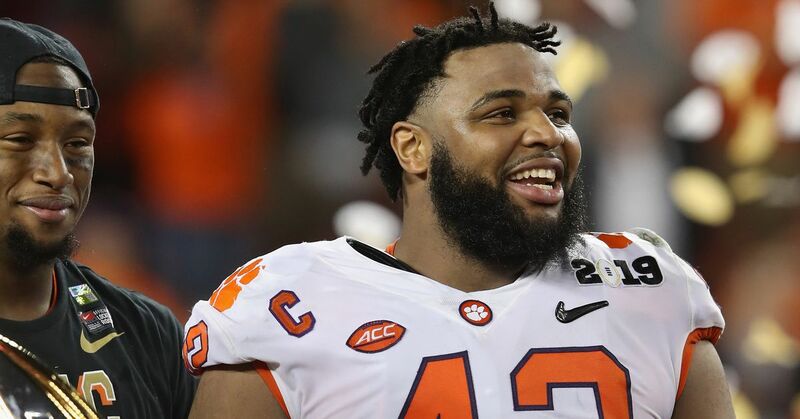 He is fascinated by Clemson, largely because they allow defensive linemen Christian Wilkins and Dexter Lawrence to occasionally run the football. But when his mother asks his about his dream school, Bubba doesn't start listing off the normal lineup of top programs. He has told her that any program willing to give him a shot would be that school for him. "I want him happy," Gina says. "And if playing football makes him happy, that's fine. I want him to dream big. I think he has a vision, and I think he's dedicated to his vision. We're going to get in. We're going to roll up our sleeves and we're going to put everything out there." Moving forward, Bubba and his mother will continue to email schools—sending out highlights that have been seen by curious eyes around the world. They also plan to attend more camps in hopes that Bubba might catch the eye of someone still looking to add to their team. At the moment, Bubba isn't consumed by the process now that his football season has ended. The high school basketball season has just started, and he has already made the switch into yet another role. As he does, his football coach will continue to exhaust any and all options to put his name out there. "His goal is to play college football," Good says. "I feel he's a scholarship player, but we don't think it's going to be a failure if he doesn't get a scholarship. He's going to compete next fall on somebody's campus. He wants to play football and we're going to get him there." Perhaps the team is out there, just waiting to discover one of the most unique high school football players in the nation. 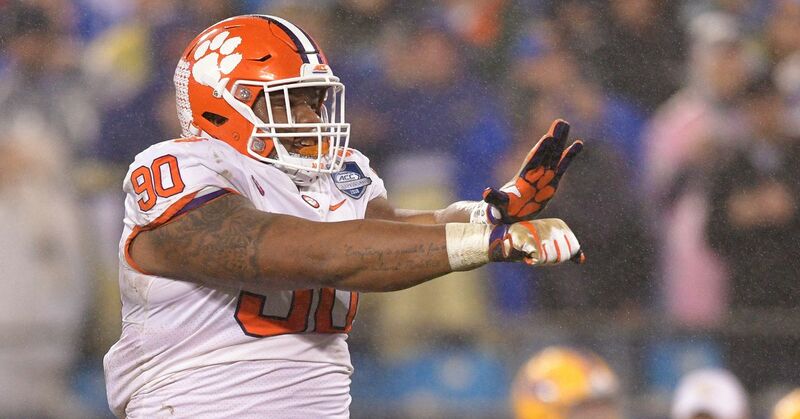 If they're in need of help and depth at defensive line, Bubba might make sense for them. And if they're looking for just the right piece to enhance their offense, all they have to do is ask.